Workers in Osun state demand the commencement of payment of full salary, pension and gratuity with effect from November 2017. Workers in Osun state are tired of the State Government paying them half salary as the hardship has become unbearable. The Osun State Joint Public Service Negotiating Councils I, II, and III have demanded that the State Government start the payment of all outstanding pensions as soon as possible. According to a release signed by seven different labour groups including the Nigerian Labour Congress, the councils demanded for the immediate promotion exercise for all categories of workers. According to the release, “the joint labour movement wishes to reiterate that our unalloyed support to the Government hitherto is due to the sterling performance of the Government especially during the first term in the state. "However, the uncommon endurance and support which has sustained the industrial peace and harmony in the state has been stretched to the limit and can no longer continue. "Consequently, the joint labour movement in the public service of the state demands the immediate lifting of embargo on conversion, advancement and confirmation of appointment of all affected workers. "We demand the immediate commencement of promotion exercise to all categories of workers and we also demand the immediate remittance of contributive pension that was due since 2014. 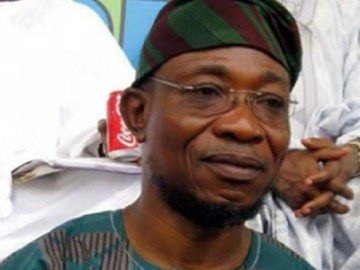 However, in a statement, the Osun State Government said it was committed to the welfare of workers. The statement said the government recognises the fact that it is incumbent on it to pay full salaries to its entire workforce and regretted that if not for the dire financial circumstances, the government has been committed to the prompt payment of salaries and pensions to the labour force in the state.